Whether you're a huge geek or a total luddite, you've got to be excited when scientists invent a new kind of laser, especially one that stands to replace the one we've been using for fiber optic communications for the last 40 years. A team of CalTech researchers did just that. Be excited. This new laser is notable for its unprecedentedly high spectral purity. Spectral purity basically refers to how close a laser is to operating on a single frequency. It's a valuable metric because the narrower the range of frequencies, the more information the laser light can carry. This also allows for higher data transfer speeds—in other words, faster internet. Since fiber optic networks are really taking over everything, this is good news for everybody. At the moment, most of the world's fiber optic networks use something called a distributed-feedback semiconductor (S-DFB). This impressive piece of technology was developed in the mid-1970s and has managed to dominate the world of fiber optic communications because—you guessed it—it boasts a high spectral purity. The S-DFB laser manages to attain such purity by using a nanoscale corrugation within the laser's structure that acts like a filter. However, that purity is compromised by the laser's III-V semiconductors which absorb light causing a degradation of spectral purity. The new CalTech laser improves the old design by replacing the III-V semiconductors with silicon which does not absorb light. This enables the laser to achieve range of frequencies that's 20-times narrower than the S-DFB laser. 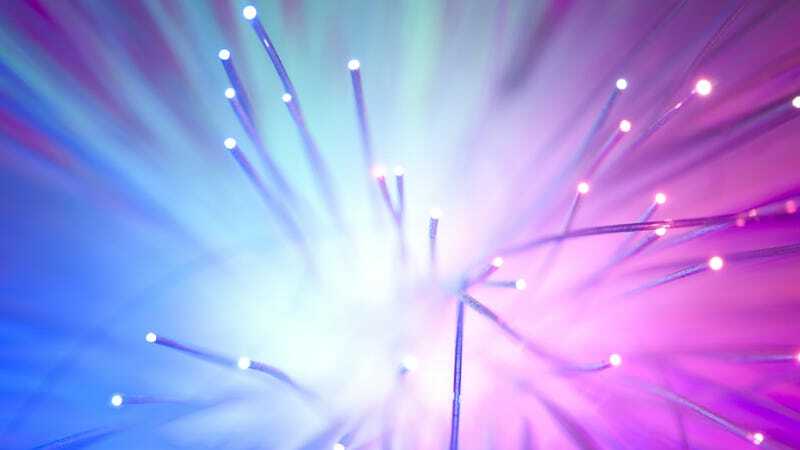 It's tough to say if this innovation would mean internet connections that are 20-times faster than what we have today as there are more factors that influence data transfer speed, but the new laser will certainly improve the system.